Gold and platinum rings may be the go-to choices for fine jewelry, but sterling silver rings can be just as beautiful and last for many years. Because it's a soft metal, sterling silver rings can be problematic when resizing. 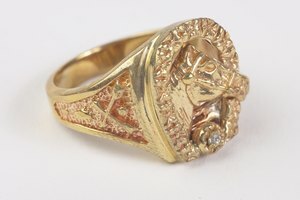 Depending on the ring's style and history, a qualified jeweler may be able to pull it off. 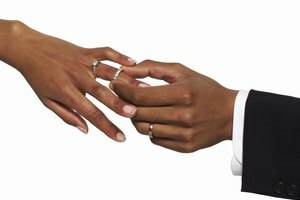 If you have a simple sterling silver band that needs to be sized up or down one or two sizes, a jeweler can likely do the resizing. If a ring needs to be resized more than two sizes, doing so might weaken the metal, causing it to lose shape or break. Rings with stones, like those beloved birthstone rings from childhood, can usually be resized by one or two sizes, depending on the placement of the stones. Rings with decorative patterns around the band cannot be resized. 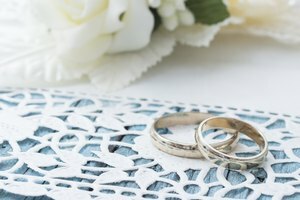 Sterling silver can be resized just once, so if you inherited an antique ring that had already been resized, it's unlikely a jeweler will risk the structural integrity of the metal to size it again. Ebay: Can Sterling Silver Diamond Rings Be Resized? 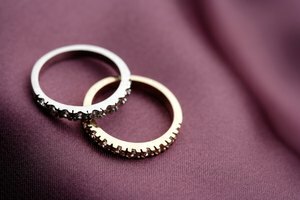 Can You Get a Wedding Ring and Engagement Ring Unsoldered?